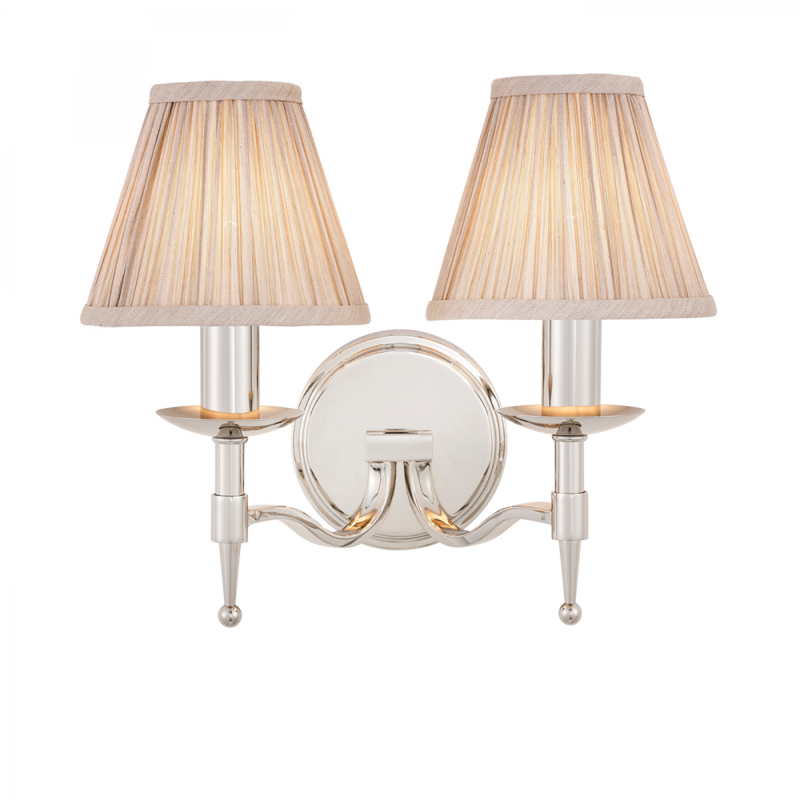 This elegant twin wall light from the Happy Homewares range has beautifully curved arms and simple clean detailing. Its complemented by pretty, beige organza effect shades. Matching items available. 34cm projection x 30cm height x 34cm width.